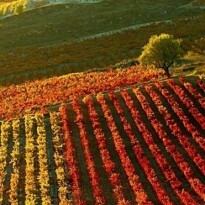 Privileged region for growing grapes and making wines of high quality with unique and great aptitude for aging personality, the production zone of the Denomination of Origin Rioja is located in northern Spain, on both sides of the river Ebro . 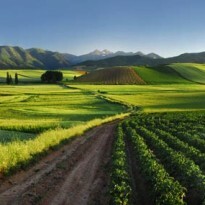 The geography have helped shape a natural perfectly defined and differentiated from the surrounding region. The whole area benefits from the confluence of two such opposite climates like the Atlantic and Mediterranean, which provide mild temperatures and slightly higher annual rainfall of 400 l / m2, very suitable conditions for the development of the vine. The regulation itself acknowledges the existence of three subzones with distinct wine characteristics: Rioja Alavesa the influence of the Atlantic climate and calcareous clay soils located in terraces and small plots predominate; Rioja Alta is also prevalent in the Atlantic climate, while its floors are shared between the clay-limestone, clay-ferrous and alluvial; Rioja Baja has a drier and warmer climate due to the Mediterranean influence are alluvial and ferrous clay soils. In the palate is a fresh and warm wine, for his youth, but with volume. In retronasal way we apreciate aromas of ripe fruit, liquorice and fennel. The aftertaste is long, as this type of wine must leave the mouth fresh and clean, to get another drink. In the palate is a light wine in the attack, and velvety in the step for mouth, and with a balanced and silky structure. Retronasally toasted toffee and mocha flavors are appreciated. It is a wine with an aftertaste very envelope and pleasant, with a good acid and tannic sensation on the tongue. In the mouth is a fleshy wine, in the attack, and velvety, in the step for mouth, and with a balanced structure and ripe tannins. It is a wine with a long aftertaste, very involving, enjoyable and tasty.